You know how email always gets a bad rap when it comes to productivity? I myself, have written plenty about how email can kill productivity for the busy mom and entrepreneur. 1. Use email to eliminate or reduce meetings. The first thing an email does for me is reduce the number of meetings I attend, in person or virtually. I can discuss pretty much everything via email, and the reason I can do that is because I have clear-cut systems for everything from responding to PR requests to new client on-boarding. The next time someone asks to set up a meeting, see if you can instead, discuss the issue AND close it over email. Look at your work life to identify areas where meetings can be made redundant. 2. Organize email to never miss important info. Email, especially Gmail, is a great organizing tool. I set up filters so that emails from different addresses get organized into nicely labeled and color-coded folders. That way, if a client emails me, I don’t even need to scroll through my inbox to find that email. I simply head to the folder labeled, “Clients” where my email will be waiting for me. Similarly, emails from blogs I read or newsletters I’m signed up to skip my inbox and go directly to a folder labeled, “Blogs/Newsletters”. I come to browse through these every once in a week. Want to organize your email? Here’s a tutorial to walk you through it. 3. Leverage email to remember deadlines and to-dos. How many times have you remembered at the last minute that you’d gotten an email to send in an important document? Yeah, more often than you’d like. Right? Next time, you get an email with say, a deadline in it or an appointment, simply use the Add to Tasks option in Gmail. Here’s a tutorial to show you how to set up a task from an email and never forget a deadline. 4. Cut down on time spent writing a message. Use Canned Responses in Gmail. I LOVE this nifty way of sending “same” emails in literally seconds. Say, you have a ton of emails from PR reps for reviews. Composing a “Canned” email will save you time and get the job done as well. Send shorter emails. You don’t always need to write a long-drawn email. Challenge yourself to write at least 3 emails today that are 5 lines or less. 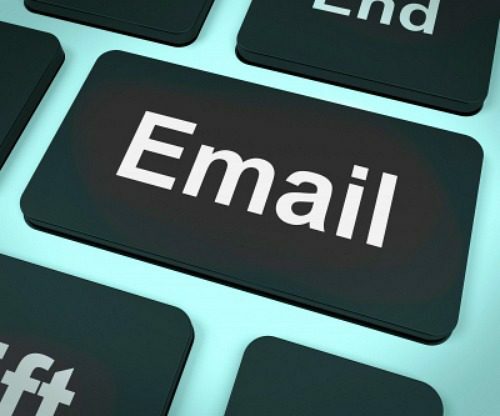 So, how will YOU be using email to save time and increase your income as well?